We encourage this along Beacon Street, where the painted line cuts off cyclists and pedestrians. Just make sure not to notice if you pass bikers upstream of your prudent swerve. The best conditions for this of course are during gridlock, but fortunately we have plenty of that. I often see shoulder stiping that tapers off like this. It definitely encourages motorists to cut the corner, potentially right-hooking bicyclists. 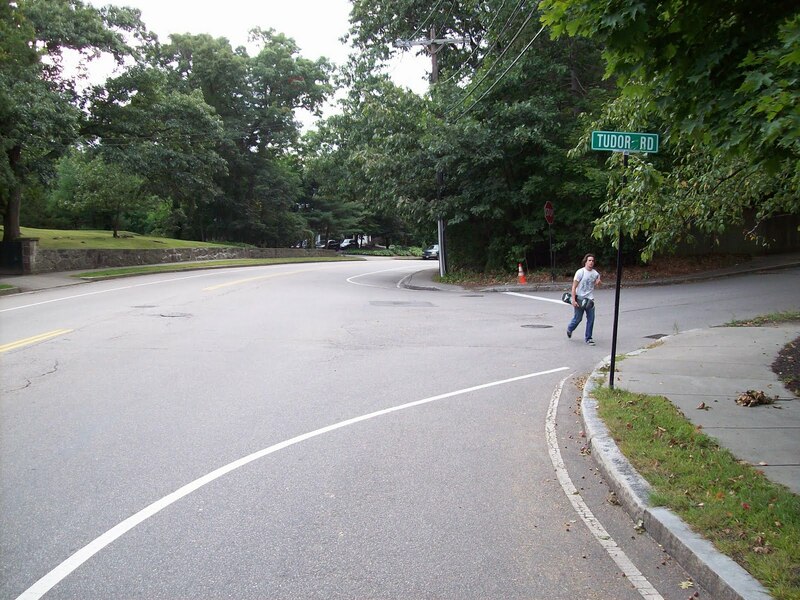 The better way to stripe is to keep the stripe the same distance from the curb at all times and just leave a gap in the stripe at side streets.